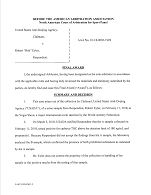 USADA announced today that an arbitrator from the American Arbitration Association (AAA) has rendered a decision in the case of archery athlete Bob Eyler, of Dundee, Mich., and has determined that Eyler should receive a two-year sanction after testing positive for two prohibited substances at the Vegas Shoot on February 11, 2018, which is organized by the National Field Archery Association. Eyler, 39, tested positive for propranolol and carboxy-tetrahydrocannabinol (carboxy-THC), the urinary metabolite of THC, the principal psychoactive constituent of marijuana and/or hashish, above the decision limit of 180 ng/mL, as a result of a urine sample collected in-competition on February 11, 2018, after winning the Vegas Shoot. 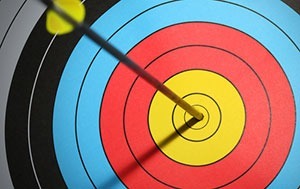 Propranolol is a Specified Substance in the category of Beta Blockers and prohibited at all times in in the sports of shooting and archery. Marijuana and hashish are Specified Substances in the class of Cannabinoids and prohibited in-competition under the USADA Protocol for Olympic and Paralympic Movement Testing, the United States Olympic Committee National Anti-Doping Policies, and the World Archery Federation Anti-Doping Rules, all of which have adopted the World Anti-Doping Code and the World Anti-Doping Agency Prohibited List. After a full evidentiary hearing, the independent arbitrator imposed a two-year period of ineligibility because Eyler did not familiarize himself with the applicable rules prior to competing. The arbitrator noted that if pleading lack of familiarity with the rules was a valid excuse, then the anti-doping rules would be meaningless. Eyler’s two-year period of ineligibility began on September 28, 2018, the date his sanction was imposed. As a result of the doping violation, Eyler’s competitive results obtained on and subsequent to February 11, 2018, the date his positive sample was collected, have been disqualified, and any medals, points, and prizes are forfeited. Accordingly, Eyler’s results have been disqualified from the Vegas Shoot, the Indoor NFAA Nationals held on March 10-11, 2018, and an Archery Shooter’s Association event in London, Kentucky held on May 31, 2018. Eyler also forfeits $52,000 in prize money from the Vegas Shoot.